The Columbiana County Government Services Building Community Room is located on the second floor of the Columbiana County Dept. of Job & Family Services (CCDJFS) portion of the building. The facility is located at 7989 Dickey Drive, Suite 2, Lisbon, Ohio 44432. The purpose of the Community Room is primarily to serve as a large training and meeting room for the staff of CCDJFS. 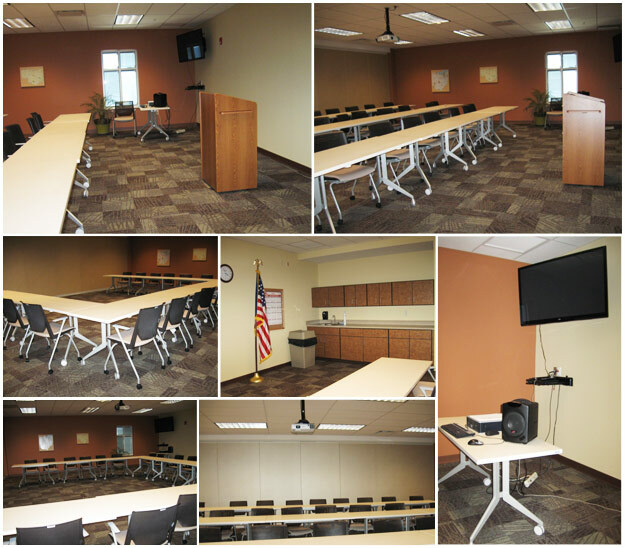 When the Community Room is not in use by CCDJFS, it is made available for use by other government agencies, public sector entities, and community organizations and businesses.